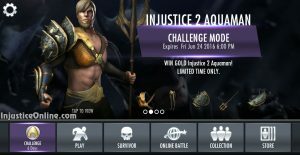 The celebration of the announcement of Injustice 2 continues with the second challenge. After the Injustice 2 Superman challenge has finished, the Injustice 2 Aquaman challenge has become available and is giving you a chance to take a glimpse at this version of the character long before Injustice 2 is released in 2017. 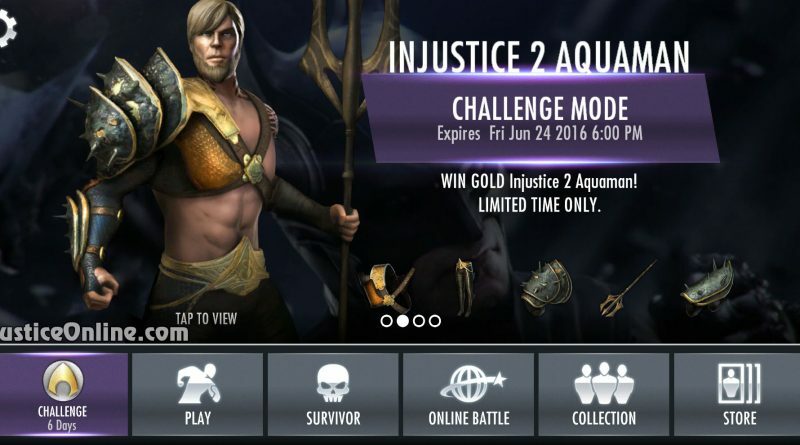 This challenge will only be available for a week, so if you want to get your hands on the gold Injustice 2 Aquaman you will have to hurry. 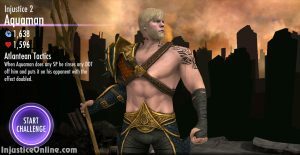 Injustice 2 Aquaman is one of the most powerful gold characters to be released for the game. 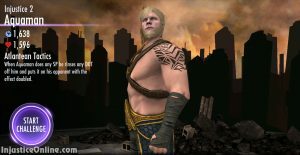 His passive ability allows him to transfer any DOTs on to his opponent doubling its damage. This will happen when he performs a SP. To beat this challenge you must have a Red Son character, an Arkham character and Batman. In this aspect, the challenge is much more complicated than the Injustice 2 Superman challenge and newer players might have a problem with it. 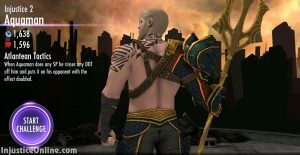 All required characters are only present as gold characters in the game. Currently a Red Son pack is available in the store for 400 000 power credits, so at least here you might have luck. There are also some Arkham and Batman characters in the store. What do you think of Injustice 2 Aquaman, tell us in the comments below.